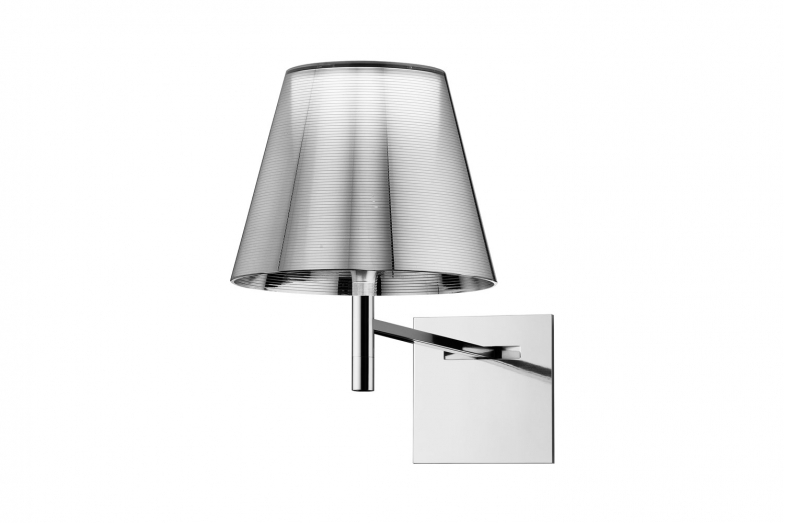 Designed by Philippe Starck, Ktribe W is a sleek, sophisticated and contemporary wall lamp. Ktribe W's diffuser, which protrudes at a right angle from its plate, casts a striking effect when illuminated. This is the result of the combination of an inner diffuser in opal with outer diffusers available in the choice of transparent PMMA, silver or bronze on the inner surface.